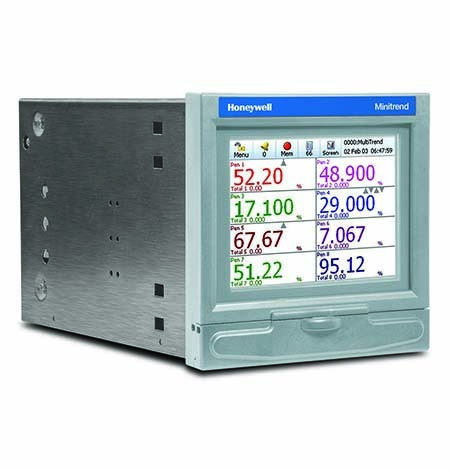 Honeywell’s Minitrend uses a 5.7” high resolution digital TFT display that provides clear, bright images and provides a wider viewing angle of the process data than other display types. 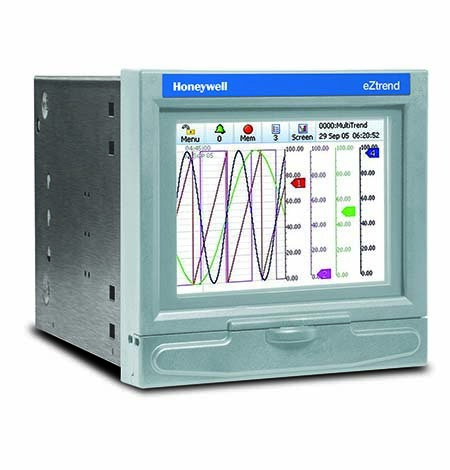 The touch-screen interface and graphical icons make it easy to use, while the display can be customized to access the best representation of process data. It records data in a secure digital format, eliminating interpolation errors that can arise from transposing data from a chart to a spreadsheet for analysis. 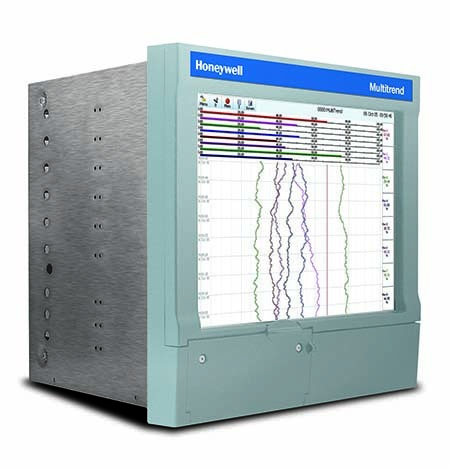 Honeywell’s Multitrend records in a secure digital format, from directly connected sensors or transmitters, that can be used for documentation of the process conditions and process improvement. 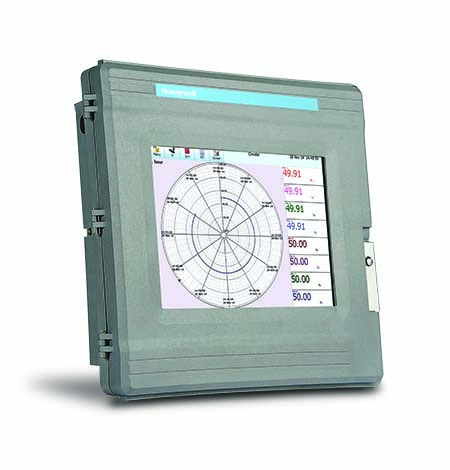 Its large 12.1” diagonal high-resolution display provides the best solution for viewing process data from a distance, while the 48 analog input capabilities provide the means to monitor all critical and most secondary parameters in a given process. Users can customize the display of the Multitrend to gain an easy understanding of what is happening in the process. This also allows operators to make the best decisions regarding the actions required based on the data displayed. 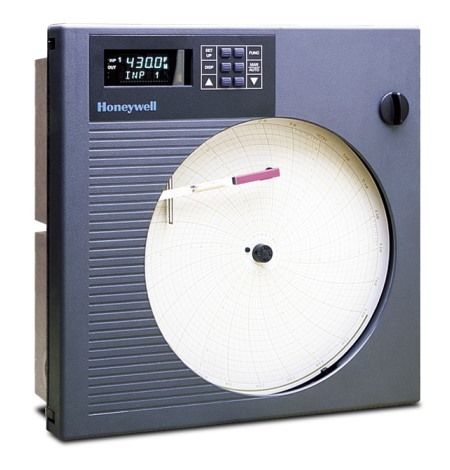 The DR Graphic paperless recorder is designed to easily replace Circular Chart Paper recorders; the similar cutout dimensions and its shallow depth make it easy to fit the new recorder into the existing panel space previously occupied by a paper circular chart recorder. TrendManager Software Suite is a package of tools for graphing continuous and batch data, analyzing and archiving data, configuring the paperless recorder products, setting up scheduled uploads of recorder data or acquiring data in real-time and exporting this to other software packages like Excel. The suite includes – TrendViewer Pro, TrendManager Pro, TrendServer Pro, TrendServer Pro with an OPC Server, and a Database Management Tool. 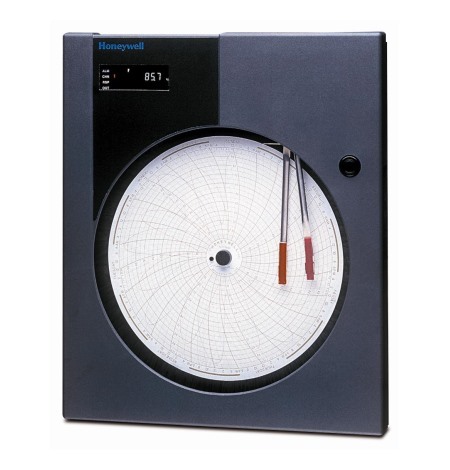 DR4300 is a low-cost circular chart recorder ideal for recording batch processes such as those used in industrial ovens, environmental chambers, pharmaceutical equipment, dairy, textile and food machinery, industrial furnaces and farm machinery. A structural foam case and heavy-duty plastic door provide excellent protection against most industrial environments.